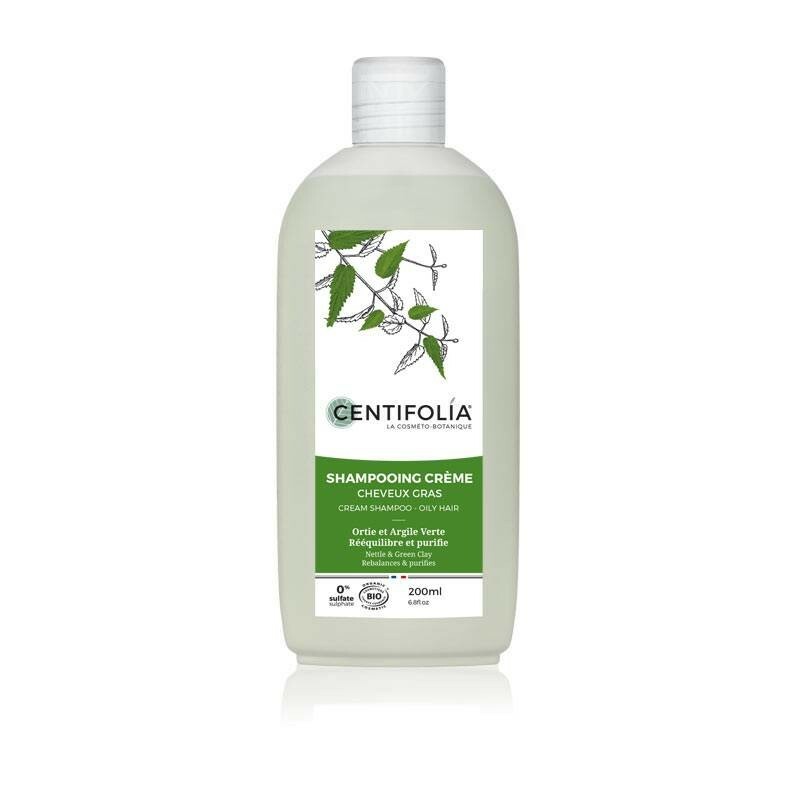 For its oily hair shampoo, Centifolia selected, from the countless active ingredients found in nature, Nettle extract, reputed for its ability to purify the scalp, and green clay. This clay, known for its regulating properties, helps rebalance sebum secretion in order to reduce the sensation of greasy hair. Formulated with a very mild cleansing base, this shampoo gently washes your hair and purifies your scalp. Hair is supple and shiny and does not get oily as quickly. With its natural formula, this shampoo adds shine and bounce to hair. *Usage test undertaken for three weeks in ten people (self-assessment). Formulated with organic Aloe Vera juice and Nettle extract, Green Clay, and sweet Almond proteins. Ingredients : Aqua, Aloe Barbadensis Leaf Juice*, Urtica Dioica Extract*, Caprylyl/Capryl Glucoside, Glycerin, Cocamidopropyl Betaine, Decyl Glucoside, Bentonite, Disodium Cocoyl Glutamate, Inulin, Argilla, Kaolin, Dicaprylyl Carbonate, Sodium Cocoyl Glutamate, Hydrolyzed Sweet Almond Protein, Acacia Senegal Gum, Xanthan Gum, Mica, Quartz, Montmorillonite, Sodium Chloride, Citric Acid, Sodium Benzoate, Dehydroacetic Acid, Lactic Acid, Potassium Sorbate, Parfum, Benzyl Alcohol, Linalool, Citronellol, CI 77288. 97.0% of the plant ingredients are certified organic. Apply to wet hair, gently massage into the scalp then rinse thoroughly. For more foam, apply again. To supplement your treatment, we recommend the no-rinse detangling lotion, which contain Raspberry extract. Déçu, les shampooing à l'argile verte ne me convienne décidément pas. Avec ce shampooing, je dois me laver les cheveux tout les deux jours :/ contre 2 lavages par semaines avant.